As music listening habits become more specialized, it's easier than ever to miss a new song. Unless it gets put in constant rotation on the radio, earns a coveted spot on your favorite playlist, or pops up on the soundtrack to that hot new TV show, most tracks -- even from big artists -- fly under the radar for the casual music fan. Thankfully, we've got you covered. Below, you'll find five new songs of the moment that are worth taking time out of your busy day for. It doesn't matter what genre the song comes from or how popular the artist is. If it's good, we want you to hear it -- and then listen again. The Brooklyn-based band Crumb occupies a landscape of their own, somewhere between jazz and psych-rock. While the group was originally a way for vocalist Lila Ramani to turn her personal high school musings into professionally recorded tracks, they’ve since toured non-stop and are now preparing to release their first album, Jinx, on June 14. Their single "Nina" perfectly embodies the band's magnetism, with its engrossing synthesizers, elongated vocal tracks, and trippy guitars wrapping you in a neo-jazz dream. With "Nina" (and all their songs), Crumb takes you to another realm. Nothing sounds quite as lush as Australian shoegaze artist Hatchie. Harriette Pilbeam produces dream pop that oozes romanticism in the form of crystalline guitar and synth tones. The singer/songwriter from down under has quickly become the "it girl" of the genre since the 2018 release of her Sugar & Spice EP, and her debut album Keepsake, out June 21, is one of the most highly anticipated indie releases of the year. "Stay With Me," a single off the forthcoming record, shimmers with its disco-clad vibe, as if it’s meant to be cried over in the club. Synthesizers and Hatchie's hushed, yearning voice make "Stay With Me" euphoric, even as she recalls a romance she's ended. The track makes you come undone with her, in the best way possible. Toronto punks PUP never got over teenage angst. Instead, the four-piece band, who've been putting out solid punk albums since 2013, just keep getting angrier with age. On the lead single off their third full-length effort, Morbid Stuff, frontman Stefan Babcock begins wailing, "Just like the kids, I’ve been navigating my way through the mind-numbing reality of a godless existence." It’s like he settled into an attitude at 16, and decided it was well-suited to the music PUP makes; the reverb and raucous drums also create a chaotic, feverish tone throughout the track. But one thing you should know about PUP is that no matter how cranky and pent up their guitars sound, it’s a goddamn good time. On "Kids" and much of Morbid Stuff, it’s about finding someone who's just as angry as you ("I don’t care about nothing but you") -- an admittedly less horrible experience than wallowing in isolation. It stings, but there’s joy here too. Some of the most popular up-and-coming hitmakers with powerhouse potential are rapidly crossing geographical and genre borders, and Spain’s Rosalía certainly fits that mold. The Latin-Grammy-winning Best New Artist paved her own lane, transforming flamenco music for today with a touch of R&B, and for her latest single "Con Altura," she immerses that sound in reggaeton with the assistance of Colombian artist and reigning crossover star J Balvin. 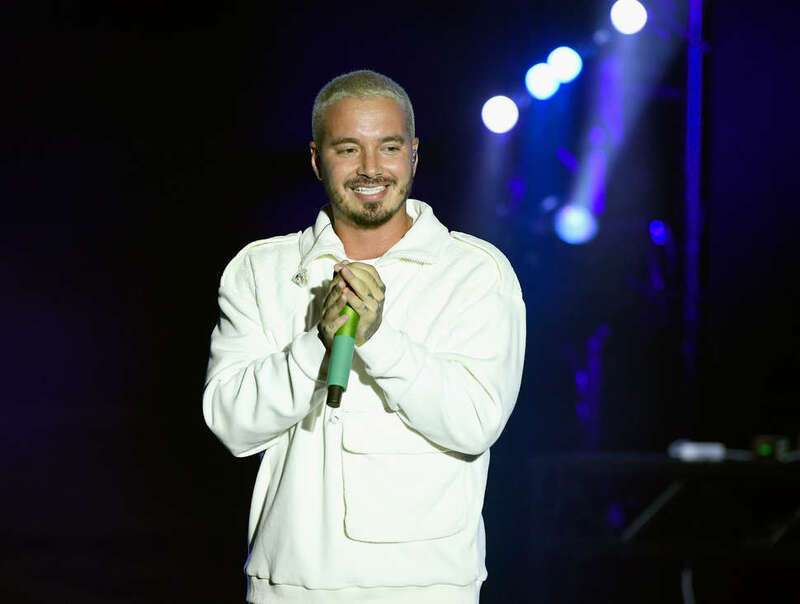 Over a pulsating beat, Rosalía’s wispily fierce voice alternates verses with a confident Balvin to make for a thrilling, flirtatious track. Just let the seductive production and deep bass inevitably turn your hips into a swivel -- you won't be able to resist Rosalía. In her music, you can hear how Chicago-rapper Noname draws heavily from her background in slam poetry. On "Song 32," she lays down her verses with a spoken-word clarity and stamina, and even pays ode to her rise declaring, "Started getting money from writing the haiku." The recording artist has long been a Chicago staple, having worked with Chance the Rapper before breaking through last year with her triumphant record Room 25. With each release, Noname illustrates she's rapidly ascending to the title of one of rap's bests. The new track in particular follows a chilled out, hypnotizing jazz-influenced rhythm with a slight reggae influence, but her lyrics about colonialism and her personal journey to success expressed are what truly stands out. After the song builds, she repeats the line, "I’m America at its best," and you'd be a fool not to believe her. Up next: Listen to our Spotify playlist of the Best New Songs of 2019 below.